Makeup fans, your time has come – the highly anticipated summer makeup collaboration from Guerlain and Italian fashion icon Emilio Pucci has landed at last! 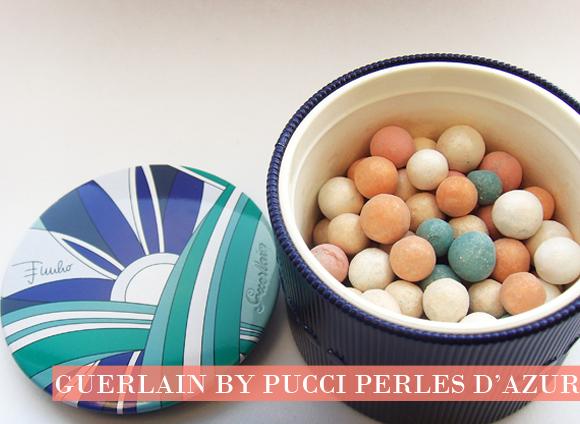 The Guerlain Terracotta collection is already a knockout, but the limited edition colourways and exclusive printed packaging of this year’s collection has produced something truly something special. 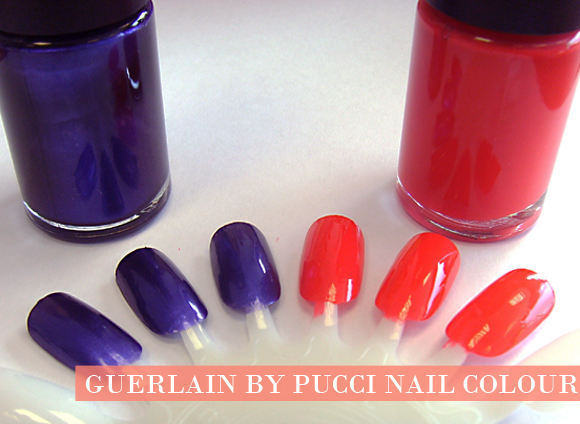 The Guerlain by Emilio Pucci collection is inspired by summertime in Italy, from sunbathing in Capri to yachting in Riva. From eyes to lips, nails to the complexion, beautify yourself with high fashion, harmonious hues….. This gorgeous, oversized palette is all you need to see you through the summer. 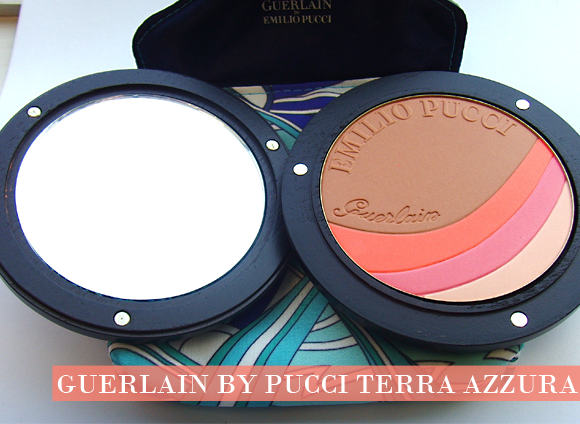 Split into a bronzer and three on-trend blush colours, the Guerlain by Pucci Terra Azzura palette offers deeply pigmented colour that accentuates a natural tan. 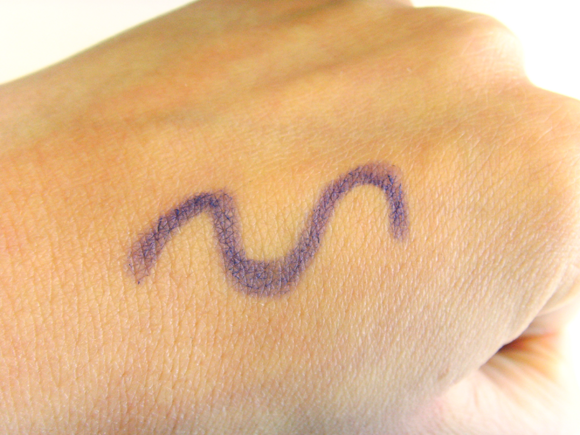 Swirl all of the colours together for a brightening face colour, or use separately to sculpt and highlight cheekbones. 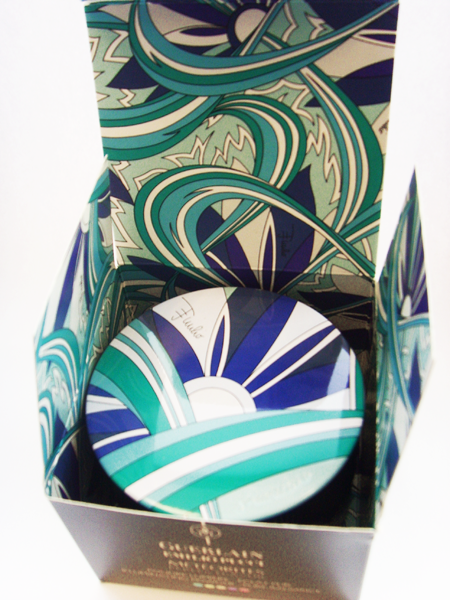 Open the box to reveal a soft fabric pouch in the exclusive Pucci Winter Capri print. This houses the large compact, which splits apart completely to reveal a large mirror, and is held together by magnets. Perhaps my favourite product of the collection is the absolutely gorgeous new edition of the Meteorites Perles complexion enhancer, a pot of colour correcting pearls to swirl together and buff all over the face. Six different shades correct the complexion: warming beige and orange set off a tan; illuminating white and white gold provide subtle shimmer; and blue and pink correct yellow tones. 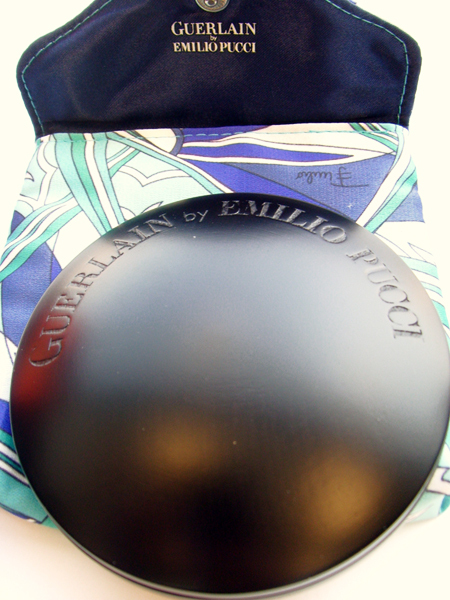 The packaging is all Guerlain on the outside, and pure Pucci on the inside. It’s such a treat to open! These two brand new shades of nail colour perfectly complement the new collection. The orange coral cream of Paradisio looks perfect on finger tips, while the shimmery indigo blue of Riviera accents tanned toes for an effortless, high-fashion touch. 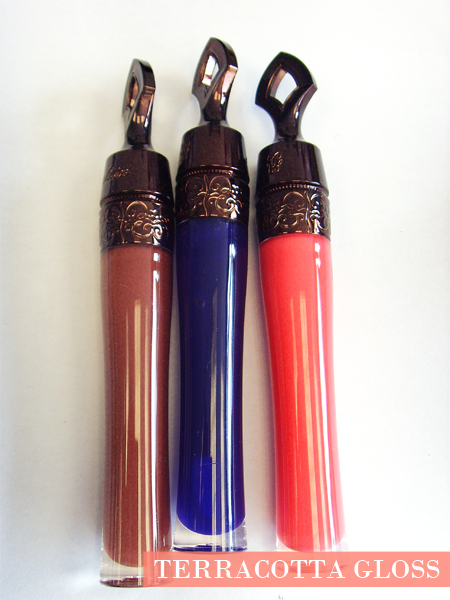 The Terracotta gloss is reworked for this new collaboration in three key shades named after iconic Pucci scarves: spicy brown Porto Ecole, coral pink Porto Fino, and the unusual wild indigo blue of Porto Azzurro. 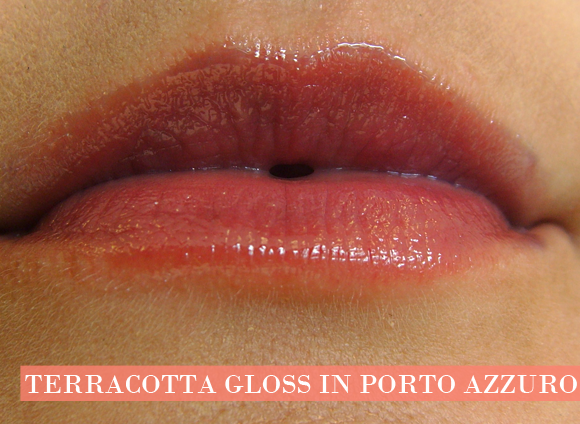 Specifically developed to enhance a tan, the fresh syrupy texture and sparkling radiance of the Terracotta gloss is second to none. Left to right, Porto Fino, Porto Azzura, and Porto Ecole. Super shine and high pigment levels to suit all suit tones. Although the colour of Porto Azzuro appears vivid in the tube, on the lips it exudes a subtle blue glow and is mostly clear – as modelled by Louise! The bestselling Kohl Kajal is reworked in vivid electric blue by Pucci to create wide, bright eyed looks. With its soft and compliant texture and intense colour, you can colour the water line, line around the eyes, or colour in the lid completely. 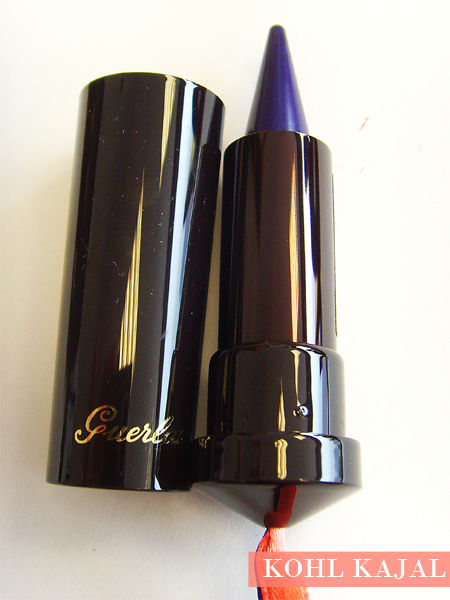 The colour appears intense when applied, shimmering with iridescent blue and indigo on top of a deep blue base. 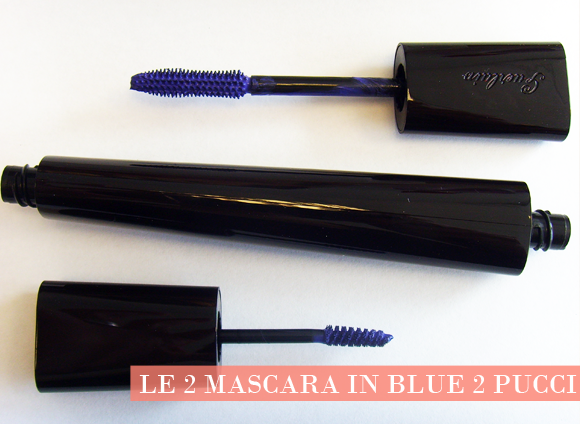 There’s more indigo blue in the way of the Guerlain Le 2 Mascara in Blu 2 Pucci, a double-ended formulation. The unique formula offers bold length, high definition separation and full volume. Use the first brush to curl and volumise, and use the second to grab every last lash for a wide-eyed look. 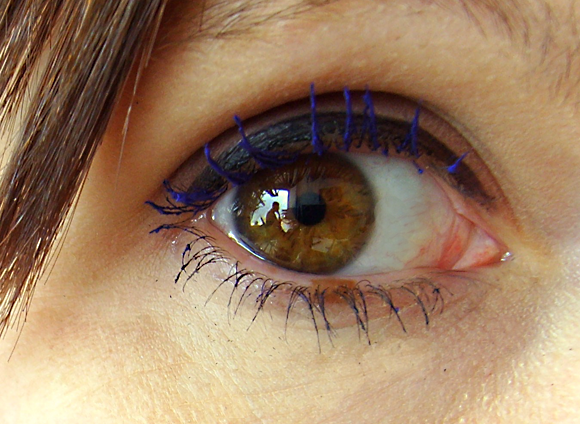 It appears incredibly vivid on the eye, as shown here by Louise. 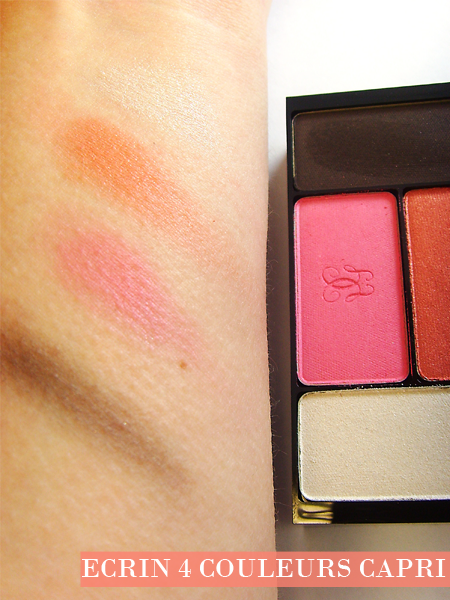 Last up is the new colourway, ‘Capri’, in the silky soft Guerlain Ecrin 4 Couleurs Eyeshadow Palette. The marriage of peach, coral, brown and white looks beautiful when worn separately, or worn altogether. The four shades each have a different finish: delicate satin, multifaceted metallic, soft matte, and micro-pearl iridescent. Finely milled and soft to the touch, the colours offer intense and long-lasting wear. This entry was posted on Friday, June 1st, 2012 at 3:25 pm and is filed under Make-up, New products, Swatches, Tried & Tested. You can follow any responses to this entry through the RSS 2.0 feed. You can skip to the end and leave a response. Pinging is currently not allowed. Adore this collection – the bronzer and eyeshadows are particularly swoonsome! 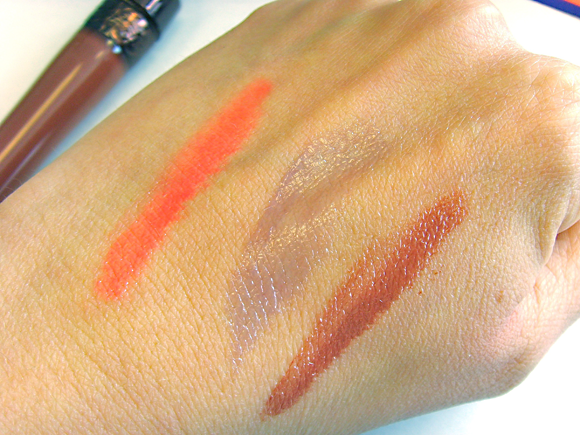 Lovely to see swatches & products being used on your blog – go Escentual!